 Home Girls Glamour How to choose the right perfume for you? Whether you are looking for a new aroma, looking to gift some fragrance to your dear ones, or trying the perfume for the first time, it’s hard to select the best of all the available choices. Some of you might prefer spraying strong scent and others might like a milder one. Perfume is a combination of fragrant essential oils or aroma compounds, with some ethanol or a mix of water and ethanol, used to get a pleasant scent. The intensity and longevity of a perfume is based on the concentration, intensity and longevity of the aromatic compounds, or perfume oils, used. The more the percentage of aromatic compounds the stronger the intensity of the scent. Some common terms are used to describe a fragrance’s concentration by the percent of perfume oil. Parfum or extrait: 15—40% aromatic compounds. Esprit de Parfum (ESdP): 15—30% aromatic compounds. Eau de Parfum (EdP), Parfum de Toilette (PdT): 10—20% aromatic compounds. Eau de Toilette (EdT): 5—15% aromatic compounds. Eau de Cologne (EdC): Simply called as cologne: 3—8% aromatic compounds. Companies have marketed a variety of perfumed products under the name of splashes, mists, veils and other imprecise terms. Generally these products contain 3% or less aromatic compounds. Perfumes were initially used for some religious and special occasions. Now a day it is treated as an accessory which is altered daily or you can say more often. Body care products which are lightly scented such as bath oil, shower gel, and body lotion are recommended for the morning; and Eau de Toilette is suggested for the afternoon; and perfume applied to the pulse points for evening. Cologne fragrance is released rapidly, which may last around 2 hours. Eau de toilette lasts from 2 to 4 hours, while perfume which is more concentrated then the others may last up to six hours. In Western Culture, pure perfume (parfum extrait) is applied at pulse points, such as behind the ears, the nape of the neck, and the insides of wrists, elbows and knees, so that the pulse point will warm the perfume and release fragrance continuously. Oriental: Oriental perfumes can be quite intense, containing warm and spicy notes. It is made from spices such as pepper, cloves, cinnamon and vanilla. It is a scent that evokes mystery, exoticism and sensuality. Floral: Florals are the handiest of all perfumes. They are mild, charming, sweet and romantic, all at the same time. Floral perfumes are sometime scent of a single flower, or scents of various flowers that are combined to create a perfect girlish appeal. Fruity: Fruity perfumes make you smell fresh and fruity. The aromas of fruits other than citrus, such as apple, peach, cassis (black currant), mango, passion fruit, and other juicy fruits are combined with florals to make a mesmerizing aroma. Citrus: Citrus perfumes are infused with the essence of citrus fruits like orange, mandarin, grapefruits and lemon. These perfumes are active and energetic. They can be best enjoyed during summer days doing your physical activity like walking or biking. Woody: Woody fragrances include warm notes like patchouli, amber, sandalwood and oak moss. The warm, dry and musky scent provides mystery to all who wear them. Women prefer the woody scent for evening. Oceanic: Oceanic perfumes use a combination of synthetic compounds to evoke natural aromas such as mountain air, ocean spray or clean linen. The oriental notes are very light and fresh. Next articleSay NO to Mosquito Bites !! !